Think Maui is only for honeymooners? After visiting the island with my family, I think it’s the perfect place to bring kids. Here’s how we enjoyed fun in the sun with a full itinerary of activities for everyone. 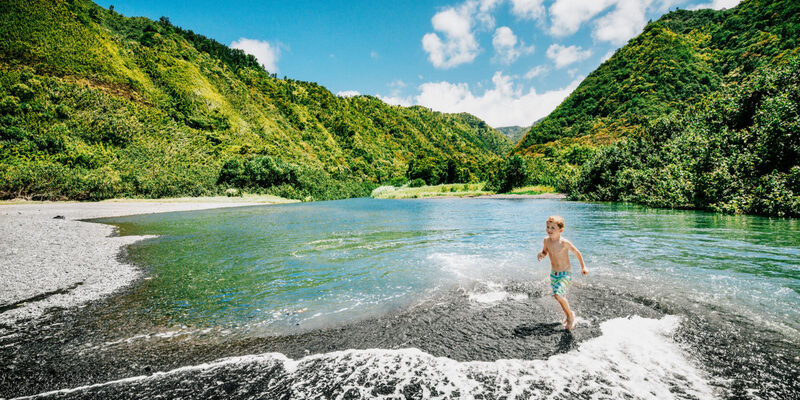 When I first mentioned that I was heading to Maui for spring break with my eight-year-old son, I got a bit of side-eye from my sisters — both had honeymooned on the tropical Hawaiian island and thought it was little too romantic for a third grader. 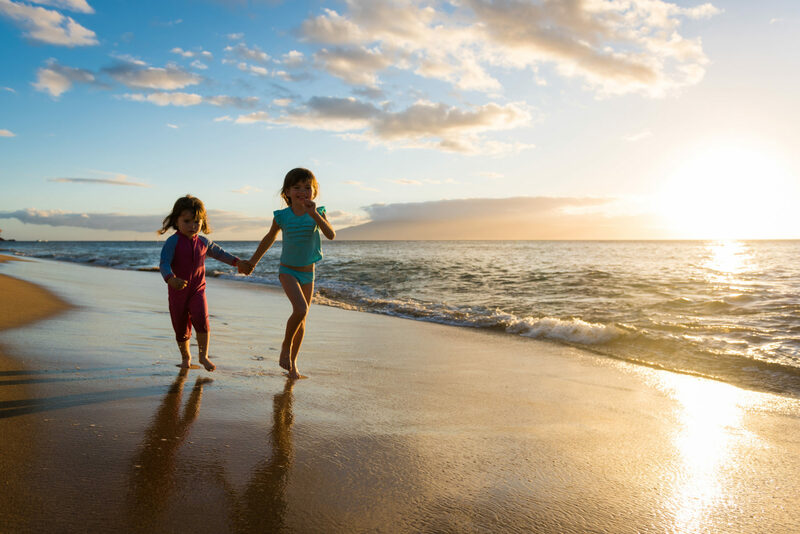 But Maui turned out to be a kid’s paradise, thanks to its miles of picturesque beaches, abundant family-friendly activities and the locals’ love of little ones everywhere we went. My husband, son and I discovered family fun around every bend, from the top of the dormant volcano to the bottom of an ocean crater. In fact, we had such a great experience on our first trip to magical Maui that we recently returned for a second family vacation. These are a few of our favorite child-friendly highlights. During my family’s first trip to Maui, my son Aidan and I learned how to stand up paddleboard. 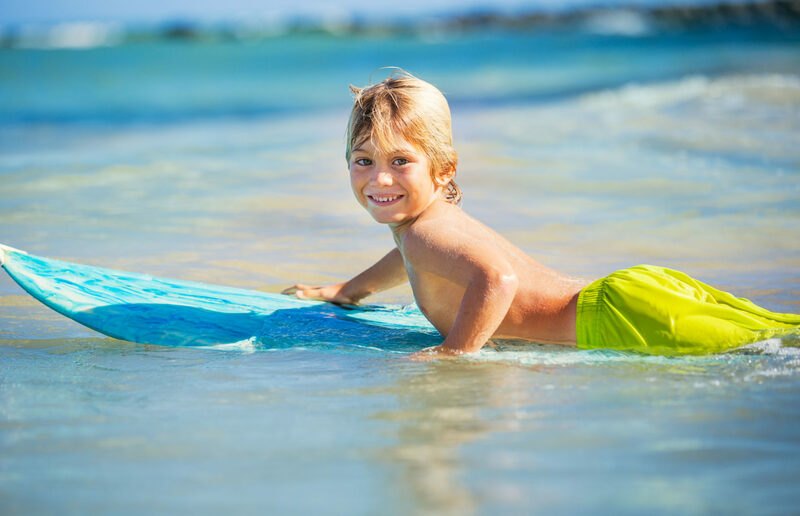 On our most recent trip, Aidan was ready for a bigger challenge, so he set off to conquer the waves with surfing lessons from the Maui Beach Boys on Kaanapali Beach. Since each new surfer pairs up with an experienced guide who helps them read the surf, it’s perfect for children. I relaxed and took pictures from the sand while Aidan learned to navigate the waves. 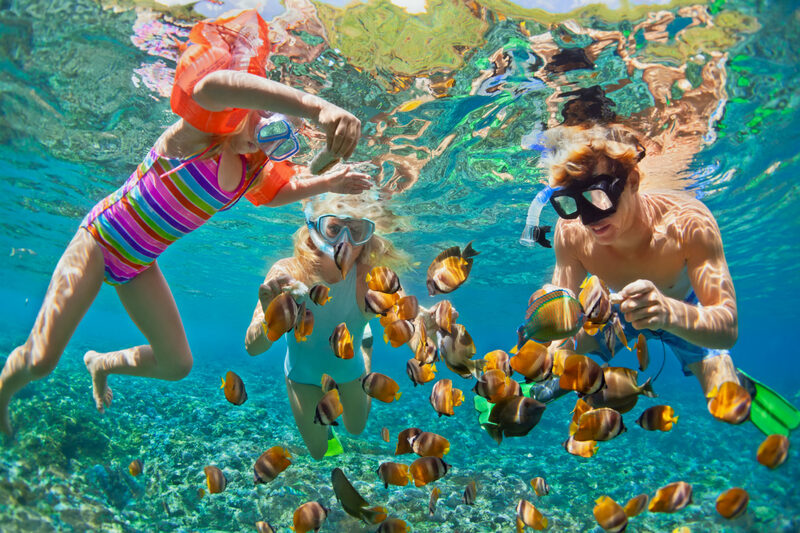 On our earlier visit, we spent time snorkeling near the shore, spotting colorful reef fish and using waterproof cameras for some child-friendly fun. Now that Aidan’s a stronger swimmer, we tried a new family water activity: snorkeling the famed Molokini Crater, a protected reef formed by an underground volcano. On the hour-long boat ride to the snorkeling paradise, our guides from the conservation organization Pacific Whale Foundation explained reef ecology to the kids on board. At the crater, we saw a rainbow of tropical fish, a massive moray eel, and two sleeping reef sharks down below. The PWF offers whale-spotting cruises as well, but we didn’t need to sign up for one — according to the captain, we saw as many whales on our snorkel trip as they normally do on the cruise! Back on dry land, our trip ended at the Maui Ocean Center, known as the Aquarium of Hawaii. We enjoyed the chance to see even more marine life (like Maui’s famed green sea turtles). It’s also a great option for children not yet ready to swim with their faces in the water. One of our most exciting family adventures was the journey to Haleakala National Park, where a dormant volcano rises to more than 10,000 feet. 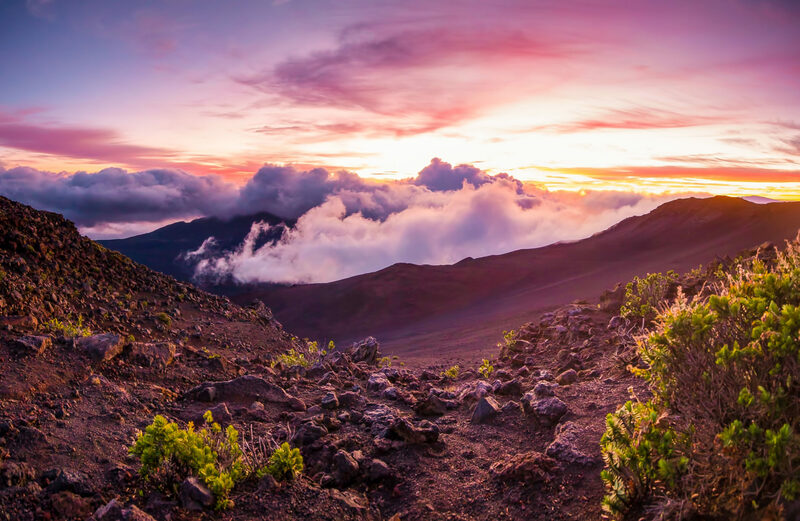 Although sunrise at the peak is a popular activity — Haleakala translates as “house of the sun” — we left the 3 a.m. wake-up call to people who don’t need as much sleep as growing kids. Instead, we drove up after breakfast, when the crowds had dispersed and the weather had warmed up a bit. We stopped at the information center and picked up a free Junior Ranger guide, a booklet that gave us a self-guided tour of the flora and fauna on short hikes of the scenic park, with questions for my son to answer along the way. When we returned at the end of our explorations, Aidan was sworn in as a Junior Ranger by a park ranger, complete with badge — an unforgettable souvenir! 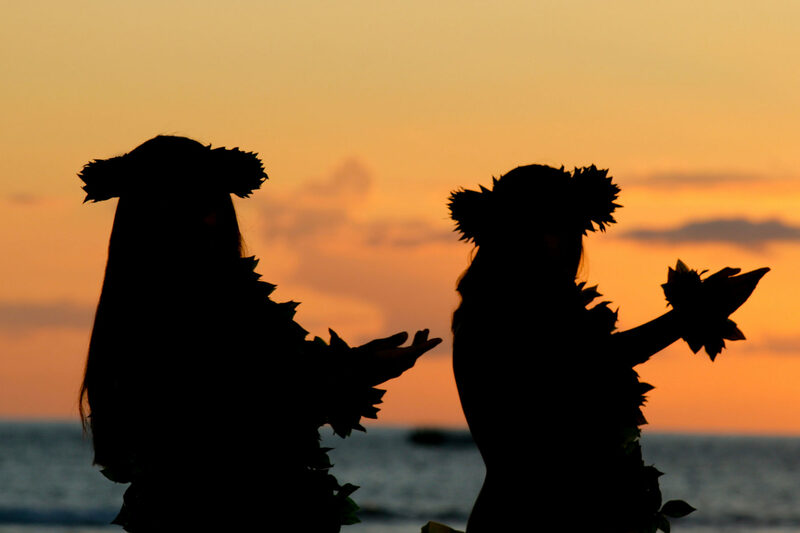 Another highlight is the Old Lahaina Luau, which provides an entire evening of family-friendly fun, not to mention a delicious dinner. Before the show, we watched the pit-roasted pig unveiling and visited traditional craftsmen (as a souvenir, Aidan chose a wooden turtle with his name in Hawaiian carved on the spot). We also learned a few hula moves and notes on the ukulele. During the show, we chose child-friendly seating right on the floor in front of the stage, and the fascinating performance of authentic hula and live music mesmerized us all. Kids are treated to tribal temporary tattoos and special tropical drinks, too. 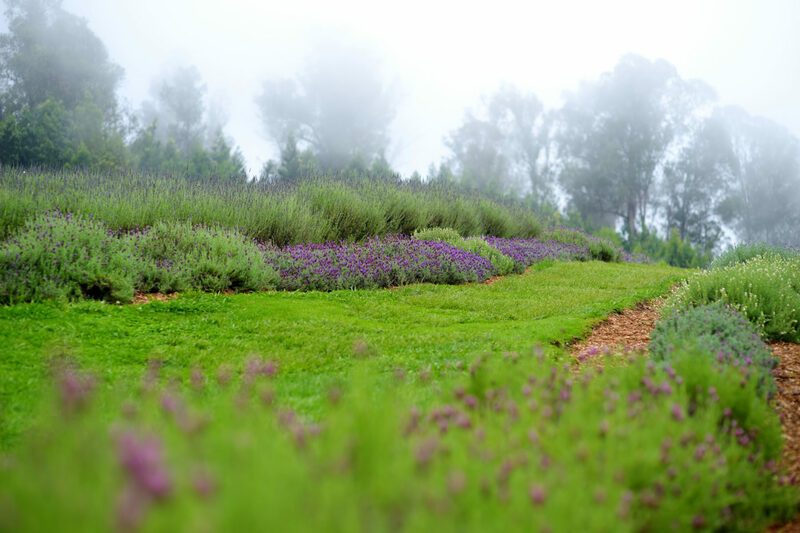 In Upcountry Maui, we found one of our favorite excursions: Alii Kula Lavender Farm. The lush gardens offer spectacular views of the island of Maui and plenty of space to spread out and explore. We took a guided tour around the floral walking paths, but Aidan was most interested in the free scavenger hunt. We searched the scenic grounds to discover hidden stamp pads that we used to fill a treasure hunt card. The reward? Free lavender cookies back at the café, where we also indulged in lavender scones drenched in lavender honey ­­— a sweet way to wrap up our Maui adventures. For another child-approved snack, stop in historic Lahaina for a shaved ice drenched in multihued syrups and topped with unique Hawaiian add-ons like mochi and red beans. Savor your colorful frozen treat under the shade of the town’s famed banyan tree, whose branches stretch for nearly a quarter mile over an entire square block.